Training | Fit Girl. Happy Girl. 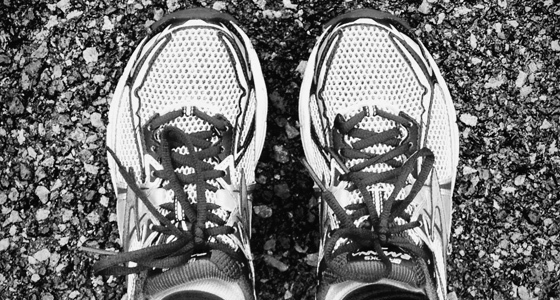 I ran in my new racing flats for the first time this week and it was love. 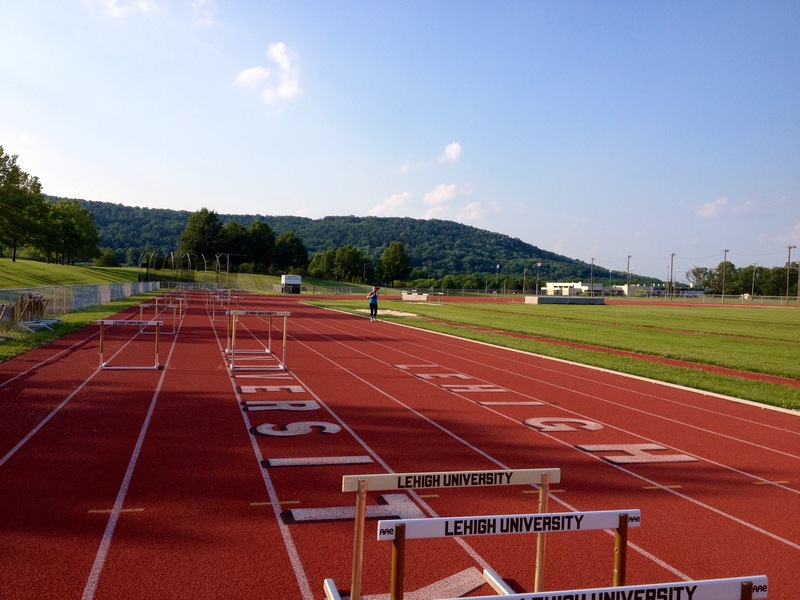 On Wednesday, I went to the Lehigh University track to tackle some 400 repeats. It was a hot, humid evening with storms looming in the distance but the minute I put on my Fastwitches I knew it was going to be a good night. Megan came with me and our plan was to do 6-8 400m repeats, depending on how we felt. 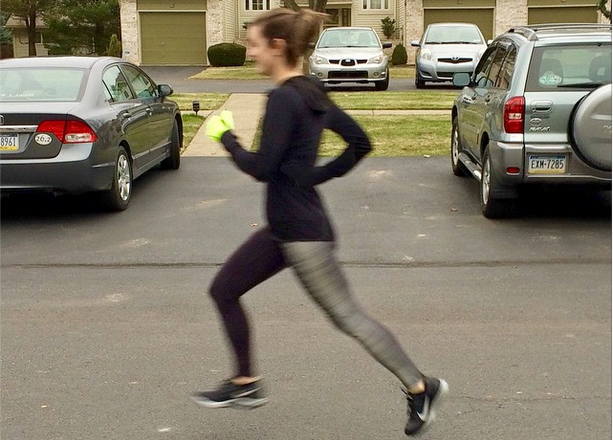 I’m still very new at speed workouts and my pacing tends to be all over the place. For 400m I usually do anywhere from 1:44-2:00- much too wide of a range. Megan told me to try to hit 1:50 even for all of the repeats. After a 1.25-mile warm up we stretched and got to work. The first 400m I went out a little fast- 1:37. I chalked this up to excitement and trying to chase Megan and just told myself to calm down and take the next one super easy. Well, the next three were 1:44, 1:43, 1:43. I was feeling good but usually this is the beginning of a gradual slowing down for the rest of my speed workout. We rested a bit, I took a swig of Nuun-infused ice water and we got back to it. Except now, Megan told me to try to maintain the speed I had been doing and hit the final four 400s at 1:44/1:45. I hit the next three all at 1:40 flat. We were about to do our eighth and final 400m and Megan gave me a challenge- sub-1:40. I was still feeling great and after all, it was the last one so you might as well go balls to the wall because then you’re done. That’s exactly what I did and ran a 1:34- three seconds faster than my first 400m repeat. Needless to say, I was absolutely pumped and praising my new racing flats for all of their hard work. We cooled down and did some hurdle walkovers and called it a night. 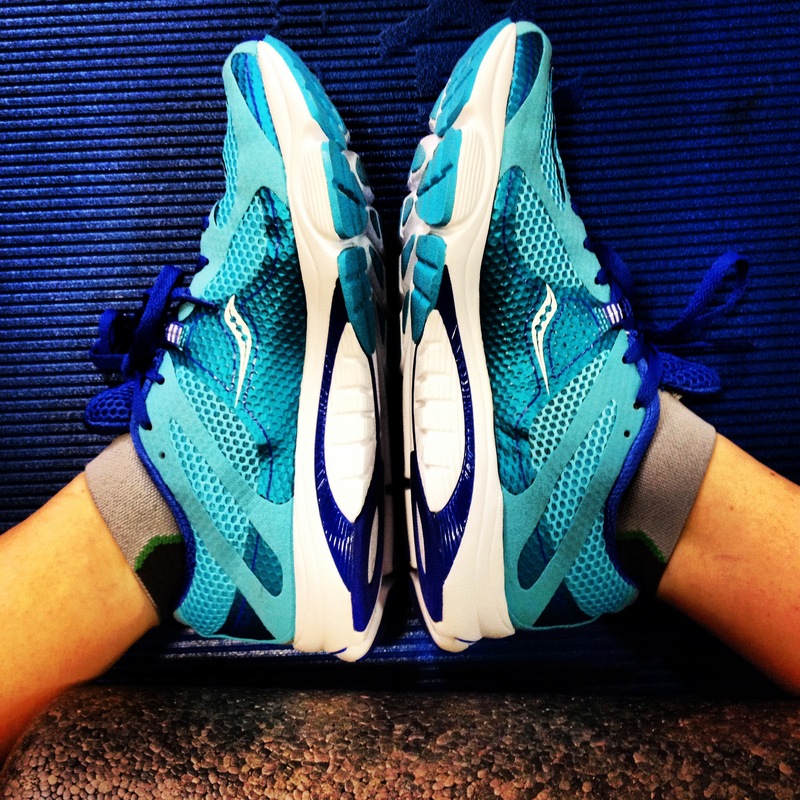 This was my first run in the new Saucony Fastwitch 6 racing flats and I thought there was a noticeable difference. My feet and legs felt light, I was able to maintain a faster turnover, and they seemed to grip the track better than any of my other running shoes. I know it’s still early on in their running shoe life and I’ll have to try them on different surfaces and different runs but so far so god with the Fastwitch 6s. It was love at that first 400m. I can’t believe it but I’m actually nearing the end of my marathon training. 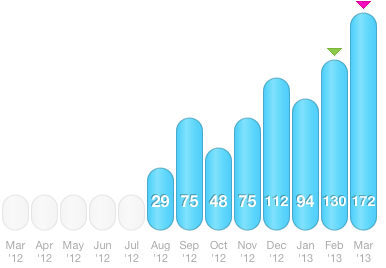 Last week was my peak mileage week and after Saturday’s 20-miler I’ll officially be in taper mode. With the Big Sur Marathon roughly three weeks out, it’s given me pause to reflect on what I’ve learned so far. Everyone says the most important part of training is learning what works for you so you’re prepared come race day. But, in my opinion, I think training teaches you a lot about yourself, your determination to reach a goal, discipline and some very important details about your body that, for non-runners, would be too much information. So here is a rambling list of things I have learned while training for the marathon. 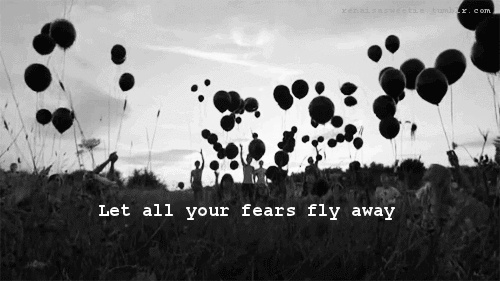 I hope you enjoy and can partake in some of my wisdom (I’m kidding). 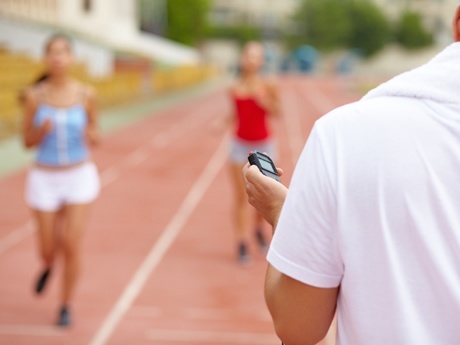 Marathon training and general high-mileage distance training will leave you tired… all of the time. You’re also going to be slightly sore but not completely sore all the time. You must get enough calories. If you don’t Aunt Flow will stop visiting like she did to me, which leads to other problems like calcium deficiency and stress fractures (and possibly no babies in the future), all of which is no bueno. I’ve developed an abusive but dependent relationship with my foam roller. You’ll get faster overall. While long runs might be slow, you’re general fitness will increase and you’ll be running shorter distances faster than you could have imagined. I take the time to untie my running shoes and remove them slowly incase a toenail decides to jump ship. Sacrifice. You’ll have to miss out on fun times with friends but you’ll never cease to be amazed by their unconditional support. 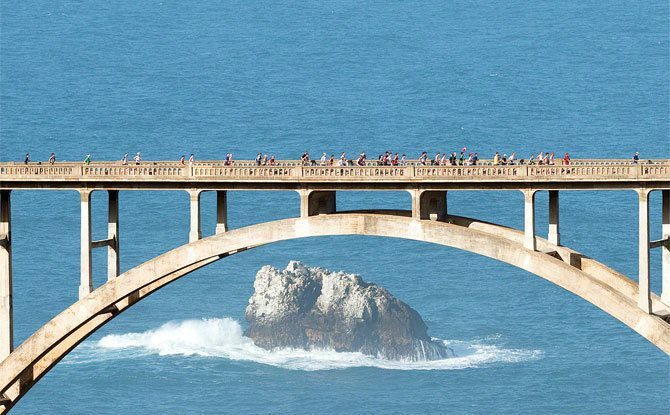 You’re training for your own marathon. Not another runner’s. Don’t get bogged down by other people’s progress, paces and distances. Train for your own race and be confident in that training. You’ll be in crazy-amazing shape. Seriously, my legs muscles are cut and nothing jiggles. Boomtown. You’ll be humbled and touched by your family’s willingness to listen as you regale them with a breakdown of your long run (even though they may be doing a looping eye roll on the other end of the line). The running community, both in real life and virtually, is made up of the most supportive people I’ve ever met. Whether you had an amazing long run, or you’re sitting on your couch searching for motivation to go out and get your recovery run done, in the rain, slightly hung over, they are there to give you the extra push. You’ll get addicted. There’s something about distance running, the discipline it takes to train and the pain you’ll feel along the way that’s just addicting. Although I haven’t crossed the finish line and officially become a marathoner, I’m already planning my next 26.2. Stay tuned! Above all else, marathon training has taught me to be fearless because if I can conquer 26.2 miles, what else am I capable of?